January 2013 to June 2013. 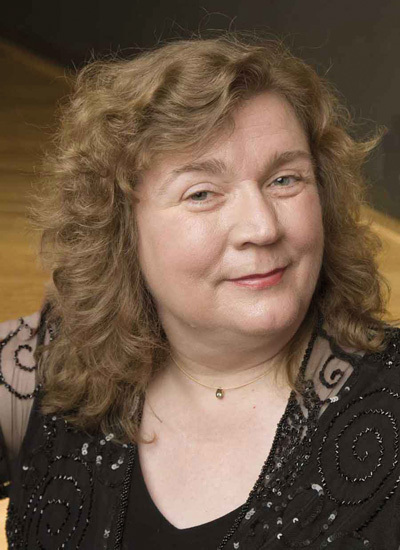 With the goal to create a centre for highly gifted young talents in Spain, and thus give a boost to the educational opportunities of the Spanish piano students from ages 10 to 18, a series of monthly intensive meetings was organised with Cordelia Höfer (also Professor at the Mozarteum University in Salzburg) thanks to her monthly performances at the Chamber Music Concert Series with Soloists from the Berlin Philharmonic Orchestra. 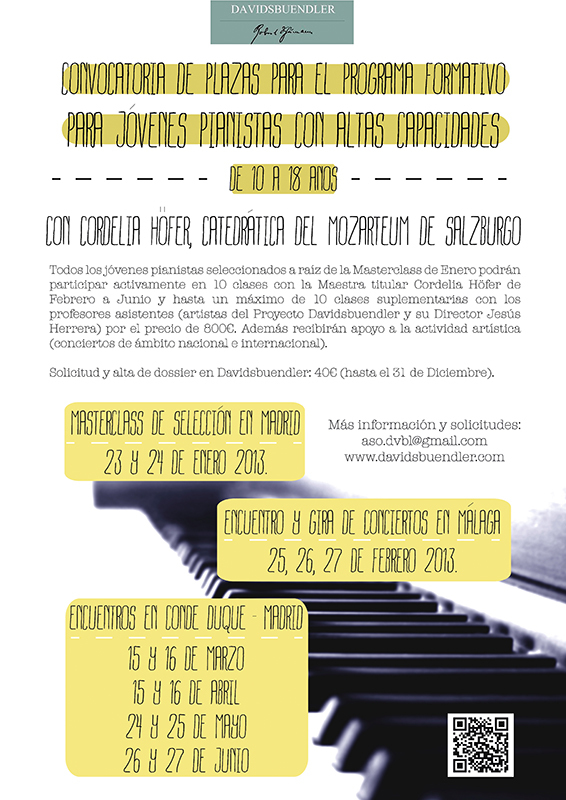 Each meeting consisted of two private lessons with each of the seven young pianists selected, in addition to the attendance to the lessons of all the other participants, concluding with the participation at the Music Marathon for the International Music Day held at the Conde Duque Auditorium. Besides its strictly musical educational aspect, this program was also aimed to serve as a major influence on the professional development and a very personal contact with other young peers from very different regions in Spain for its participants, thus fulfilling a dual purpose of a cultural and human development which is essential for the Davidsbuendler structure.